Before I review the Samsung tried and tested models, lets have a look at a few of the latest models. Now I will review several older models I have taken liking in. Technology has indeed provided us with a lot of choices for improved entertainment. 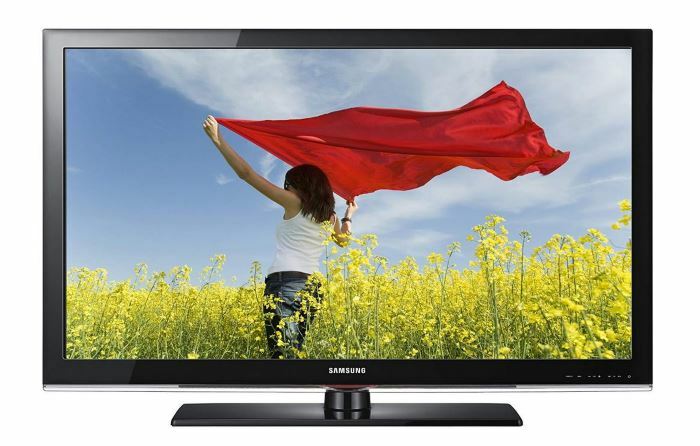 The Samsung LN32C450 32-Inch 720p 60 Hz LCD HDTV is one such example. With the powerful features that this television has, you undoubtedly will be rooted to your seat. Like other HD TVs, the LN32C450 will deliver excellent picture quality as well as sound performance. You can watch your movies and games and videos in this 32” HDTV with fantastic color and contrast. To make that even better, the Wide Color Enhancer will add to the richness and luminance of the images. You will find the picture amazingly clear and intensely detailed. 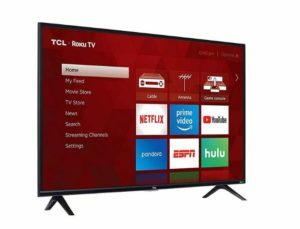 If you are in search of an HDTV that will deliver fluid motion whenever you are watching your favorite sports championship as well as your action-packed games, this LCD TV has a refresh rate of 60Hz. That’s 60 frames per second! You can watch your fast-paced films and games with less blur in your LN32C450. To provide you with incredible sound surround, the HD TV has two 10-watt speakers. Hear sound effects clearly as if it’s happening beside you. Fill the room with sound effects while watching a movie or playing a game or streaming music. If you are planning to watch till late at night, there is a “Night” option that you can turn on so that the intense sounds will be minimized so as not to disturb sleeping kids and neighbors. For the game buffs, the Game Mode will bring the action out from the TV! They will utterly enjoy the experience of playing their games on the widescreen TV with fantastic sound effects. Image processing response also improves as well as the contrast and sharpness of pictures. So, get your gaming consoles and plug it in LN32C450 TV then let the fun begin. The ConnectShare feature works like this. If you have saved some of your files on a thumb drive or from your digital camera, you can plug it in your TV and see the pictures and videos on your widescreen TV. You can also play your playlists from your thumb drives with just a flick of your remote. The Samsung LN32C450 has a user-friendly interface for your convenience and ease of access. The LN32C450 exceeds ENERGY STAR standards up to 30% less! Having the technology of LCD, it is an energy efficient piece of appliance. You don’t have to feel guilty if you have been using your TV round the clock. Instead, you are helping in conserving energy. So, if those are all your preferences, you definitely should reserve a place for the Samsung LN32C450 32″ LCD HDTV in your living room. It also comes in a sleek black design that will complement your home décor. Samsung LN32C450 is an LCD HD television with mixed responses from customers. Though it favors positive comments more than negative ones, the issue of a short lifespan has left many customers disappointed. The fact does remain that this TV has impressive features and excellent picture quality, which is well worth its price and value. Great entertainment can only come from great entertainers such as the Samsung LN32C530. It is an excellent source of entertainment with its amazing picture and sound quality. You’ll stay put on your couch for hours on end watching your favorite videos and movies and TV shows as well as playing your video games. Watch your favorite Blu-Ray movies in this HDTV with no distortion and fantastic picture colors. You’d love this HDTV because of its Full HD resolution which is up to 1080p. You’ll find that the picture quality is stunning and you will watch more and more of your TV shows, and movies on this TV. For your utmost enjoyment, the LN32C530 (also called LN32C530F1F) has a Wide Color Enhancer Pro which delivers a full spectrum of colors to give out pictures in lifelike colors. Never miss out on the details because of the image saturation of this TV set. It has a 80000:1 contrast ratio giving you crisp colors and wonderfully saturated images. You will enjoy every inch of the 32” HDTV wherever you want to install it. You will get detailed images either you are watching movies or your home videos. You can go without home theater appliances since this HDTV has two built-in 10 watts, speakers. Listen to your audio files straight from your thumb drives, MP3 player or laptop. Stream your music for everyone to hear with fantastic clarity without feedbacks. Surround yourself with sound while watching or playing games. 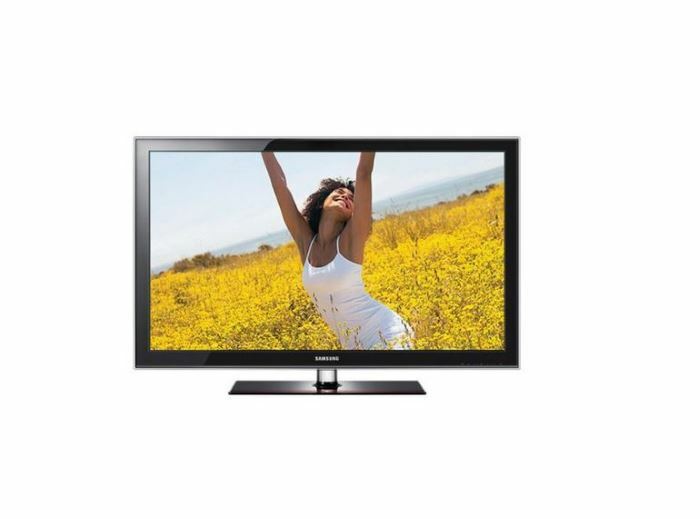 You can watch an endless stream of channels (up to 181 channels) on this TV for unlimited entertainment. If you are a game buff, then you can play your action-packed games on this 32” widescreen TV. Just switch on the Game Mode, and you are set to play. There would be no delays in your gaming with this HDTV’s 60Hz refresh rate. If you want to watch major league events on this TV, you’ll be getting fluid action and less blur. You can plug in your devices and see it on TV screen. From your thumb drive or digital camera, gather your friends and family and let them look at your photos and videos taken during your last trip. 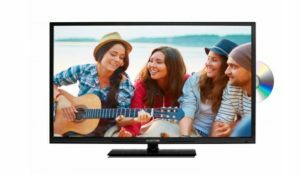 You will enjoy the bonding as well as how the HD TV performs with fantastic picture and sound quality. The 3 HDMI (High Definition Media Interface) makes it easier for you to connect your HDTV to other devices. Want more? You’ll be getting decreased energy bills by having the LN32C530 since it exceeds Energy Star rating 4.0 by 43%. It is an energy-efficient piece of appliance that gives you the most excellent entertainment in your home. So, you get optimal entertainment for less energy expenditure. It only keeps getting better! Other than keeping you stuck in front of the TV, the Samsung LN32C530 is finished in glossy black that will make it an eye-catcher. It will complement your home décor. And if you keep worrying about watching off-angle, this HDTV is mounted on a swivel stand. That’s an all-in-one package for you! Aside from incredible picture and audio quality, this HDTV is environment-friendly too. Get your own Samsung LN32C530 now and experience HD broadcast at its best. If you are looking for a replacement for your TV, a flat screen HDTV would be a great one. The advent of HDTVs had been an enormous hit in the market and people are looking forward to advanced features for the better viewing experience. If you are like them, then the Samsung LN40C630 is the HDTV for you. For all your modes of entertainment, be it movies, sounds videos or games, this TV will keep up with your demands. You can customize the settings as well to suit your preferences. Feel good with your HDTV by getting the best one for maximum enjoyment. With powerful features, this television will bring you endless ways to optimize your viewing experience. Watch your movies and videos in full 1080p HD. You’ll be seeing everything in exact colors and wonderful contrast. Take your viewing experience to a higher level with Samsung’s 120 000:1 contrast ratio. This HDTV will deliver crisp videos and amazing movies for your late-night marathons and family movie trips. The 1080p resolution gives out crystal clear pictures, and the Wide Color Enhancer augments it to provide vibrant, dark colors for full detail. Do you want bombastic sound? This 40” HDTV has powerful speakers to give you the best sound effects ever. 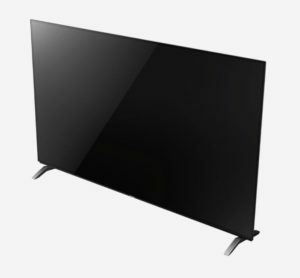 Your movies and games will have incredible sound effects when connected to the LN40C630 TV. If you don’t want to disturb the neighbors or your kids are already in bed, you can switch on the night option the sound doesn’t get too loud to rouse anyone. A gamer will have fun with this LCD TV. Catch the action in widescreen and luxurious details. Plug in your gaming console and turn on the Game mode to get the fun going. If you want a more vibrant color, darker blacks, fantastic sound and picture quality for your games, turn this mode on. For the fast-paced action of your games, sports events, and action films, the Samsung LN40C630 LCD HDTV has a refresh rate of 120Hz. Unlike early releases of HDTVs that have refresh rates of 60Hz, this model offers more frames per second. That way, you can catch with the action frame by frame without blurs and movement distortions. You’ll be watching fast action scenes in fluid motion with this HDTV. With a wireless DLNA connection, you can stream your playlists, view your video and image files from your thumb drives, laptops and computer into your TV. It enables you to take control of your files with just a few presses from your remote. No more confusing remote controls to litter your table. All you need is your LN40C630’s remote! This data sharing capability of the Samsung HDTV makes everything else just a flick of a remote away. 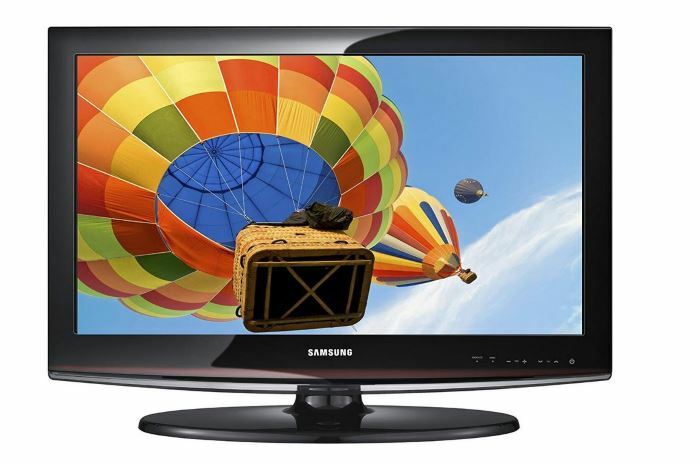 Other than providing you with remarkable picture quality and astounding sound effects, the Samsung LN40C630 40-Inch 1080p 120 Hz LCD HDTV is also energy-efficient. It even exceeds the ENERGY STAR standards. So, while you are enjoying your movies and games, you also help conserve the environment. So, with that said, you have to get one Samsung LN40C630 for your living room! If you want to improve your home entertainment experience, you must also upgrade your equipment. There have been so many technological innovations that have come out with regards to home electronics especially home theater. Have you been aware of the latest televisions that promise energy-saving performance and high picture quality? Those must be the LED High-Definition televisions that have swarmed the market. 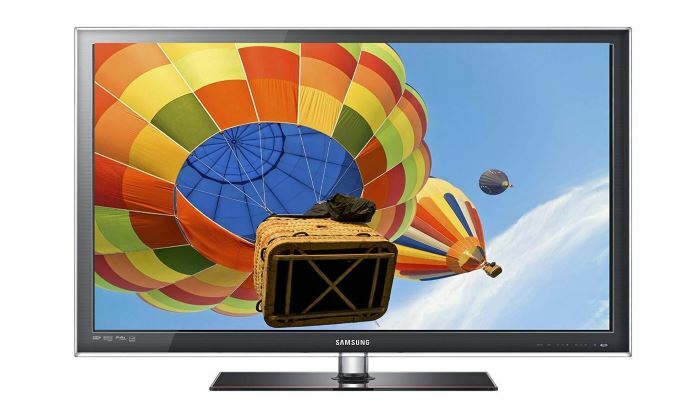 If you are looking for a HDTV, then the Samsung UN46D6000 LED HDTV would be best for you. It has high picture quality coupled with connectivity options so you’ll never get wrong with this one. View your shows and movies and even your computer files in your widescreen now with the fantastic color intensity that only an HDTV can offer. Enjoy a box of pizza or bowls of popcorn with friends and family with your Samsung UN46D6000. It has a screen size of 46 inches that features 1080 HD resolution that will surely deliver beautiful images for the enjoyment of everybody. 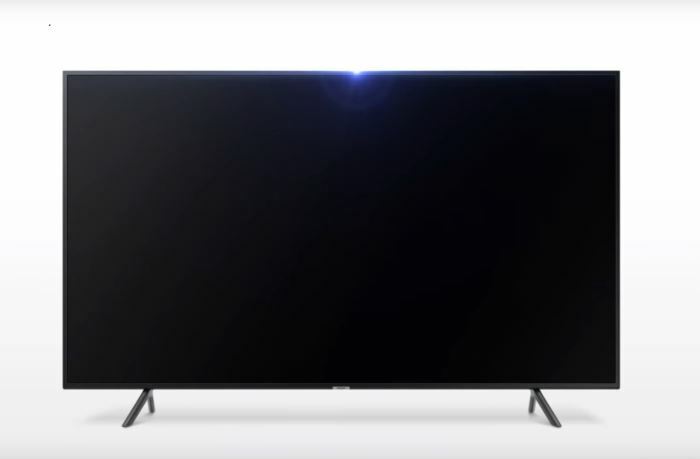 The Ultra Slim Design of this HDTV might make you think twice about the features that can be contained but don’t worry because it is packed with powerful features that will inevitably transform your living room seem into a movie theater. You can use the ConnectShare Movie feature to play your movies and videos from your digital camera into your television. If you are running out of shows or movies, you can connect your digital camera or a thumb drive to view a slideshow of your photos. The Touch of Color design takes advantage of each pixel to deliver vibrant colors and brilliant contrasts. The rich imagery that leaps out of your TV will be quite a sight. The Ultra Clear Panel absorbs the ambient light in your room to minimize reflections and improve the shadow details and skin tones. You can now play your downloaded or streaming content or get the top quality Samsung Blu-Ray player for the movie night. With the use of your remote, you can adjust the settings of your picture quality to speed up response, sharpen color and other such functions. There are two 10W speakers integrated into the HDTV for your bombastic sound effects. It supports multi-channel sound with 181-channel capacity. When looking up customer reviews on the Samsung UN46C6300 LED HDTV, words, such as ‘impressive,’ ‘amazing’ and similar terms are commonly found. It is no surprise though since this is a TV with a horde of impressive features. The quality has been praised very profoundly, to the point of being called ‘realistic,’ proving how the screen makes the pictures come to life. When not using the HD functions, this TV is still good, since its normal-definition modes are miles ahead of other similar models. Considering that it is an LED TV to its core, this colossal advancement is a step up. However, there have been complaints about the backlighting being uneven, a problem commonly found in edge-lit LED TVs, as lighter areas can be seen in dark scenes. The areas affected by this unbalanced monochrome differ between models and does not reduce the overall picture quality, but it can be irritating when it occurs repeatedly. High-definition televisions have flocked the market and consumers are now given too many choices to look into when they are buying a TV for their home theater. 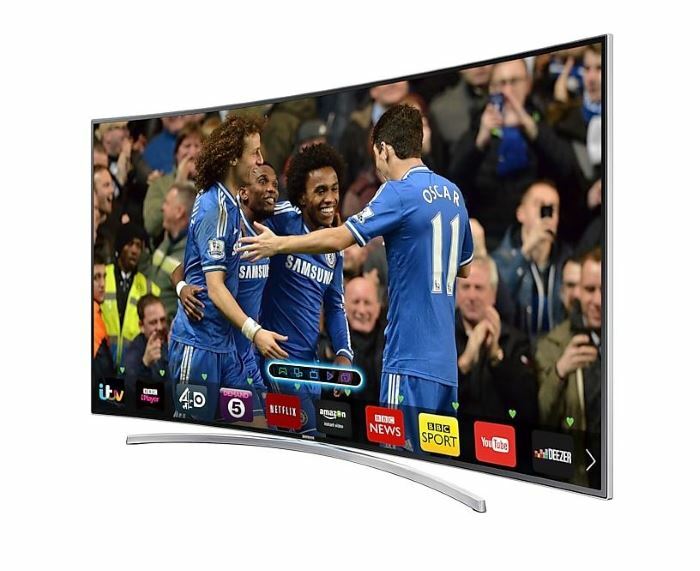 But why should you consider buying this Samsung UN65H8000 Curved HD TV? If you have already been a Samsung user, then you already know the quality that these TVs have. They deliver clear picture quality as well great audio to optimize your entertainment. Not only that, but the high-def TVs from Samsung are also equipped with the latest in motion technology, so you see more action than blurred scenes. Well, the slim and sleek designs are also a big plus especially if you want a complimentary TV for your home decor. Just read on to find out how you would benefit from this Samsung TV. With the powerful features, you get to enjoy this TV; you seriously should consider this when you are upgrading your home theater. It is more than just high-definition with astounding picture and sound quality. The Samsung UN65H8000 is one of the newest TVs from Samsung, and they are equipped with tools for browsing the web. There is an integrated full web browser plus a potential Google TV portal. The built-in Wi-Fi frees you from those dongles that tend to be bulky and ugly! When you are used to watching your films in fast-paced action, then you are not gonna be disappointed with this TV’s ultra-fast 240Hz refresh rate. Your sports events and games could be enjoyed to their fullest extent if you have this TV in your entertainment hub at home. Not only that, it has the active 3D viewing capability. Get those 3D glasses to experience another level of entertainment! You can watch 3D content from different sources because this is compatible with various 3D formats. It is a TV not only for watching movies for. It is the LCD TV that your friends would surely envy. With the redesigned bezel and ultra-slim panel, this is gonna become quite a sight in your home! Those other models that say “Slim and sleek” would look bulky next to this model. It is made to flaunt its functionality with its striking beauty. So, if I were you, what are you waiting for? You better check out the nearest retailer and see if they have this. Add to that the energy-saving LED edge-lighting that puts up with the ENERGY STAR 4.0 standards. So all in all, you have an environment-friendly TV with a beautiful finish and lots of ways to enjoy entertainment. Samsung UN65H8000 is the kind of television that customers of all ages and levels would love. With its combination of fantastic picture quality, stunning sound, LED display, lightweight structure, and user-friendly functions, there is no reason anyone would dislike this model. Internet connectivity is usable with this Samsung set as well, which doubles the entertainment that the customers can get from it. There have been reports about this TV going out of service after half a year, which is a worrying concern for long-lasting usage. Samsung UN65H8000, nonetheless, will manage to meet your demands and satisfy you no matter what.